Indian football fans are set to experience a unique fan event in New Delhi this Saturday, April 6 as Borussia Dortmund legend and former Germany international Patrick Owomoyela arrives in the capital for a “Star Sports Select Fan Club Screening” of the much anticipated clash between Bundesliga heavyweights Borussia Dortmund and FC Bayern Munich. Saturday’s match will be the 100th edition of “Der Klassiker” as fans popularly call the matches between Dortmund and FC Bayern. 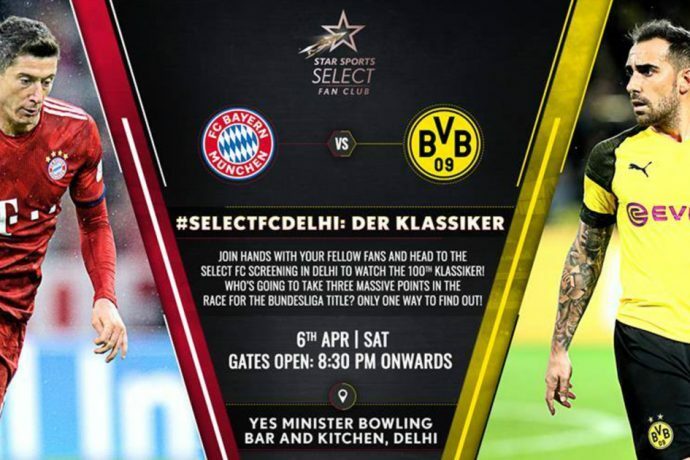 The “Select FC Screening” organised by the Bundesliga and Star Sports will take place at the Yes Minister Bowling Bar & Kitchen. Owomoyela will meet and interact with fans, while discussing the Bundesliga title race, his experiences of playing for Borussia Dortmund and the historic rivalry behind “Der Klassiker”. “I would like to invite all football fans to join me for the live screening in Delhi. 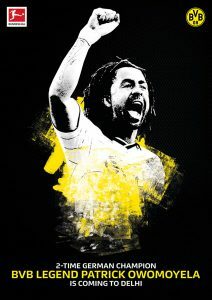 Let’s enjoy the game together,” the Borussia Dortmund legend added. The match between league leaders Borussia Dortmund and record champions FC Bayern Munich is considered as a virtual title decider. But the 2018/19 Bundesliga season has proved to be a closely contested affair and one can assume that the Bundesliga trophy won’t be handed over to the new champion before the final matchday.